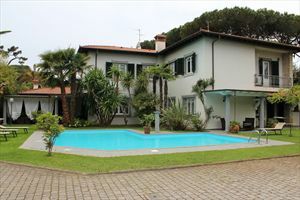 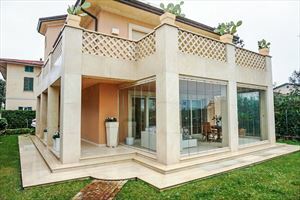 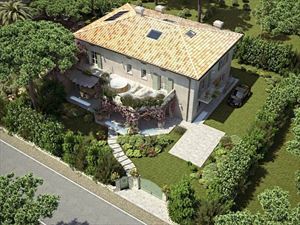 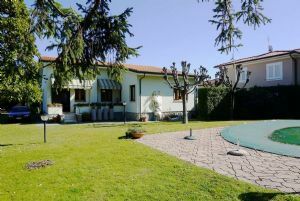 A detached one-level villa with a heated swimming pool with whirlpool and a large a garden (2500 sqm) located in the most prestigious area of Forte dei Marmi - Roma Imperiale, about 700 meters from the sea. 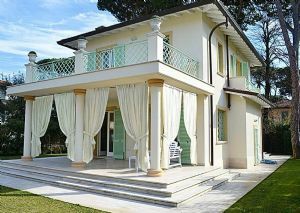 The villa is fitted with air conditioning in the bedrooms, alarm system, internet Wi-Fi, mosquito nets. 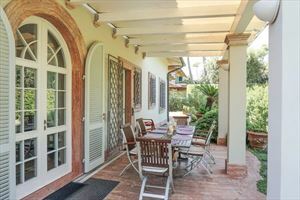 The property benefits further from a parking, automatic gate, a large covered terrace with outdoor furniture, a pool (13.5 x 6.5 m; 1.4 m of depth). 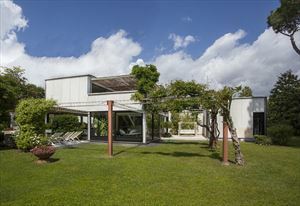 The house comprises a living room, a dining room, a kitchen, 5 bedrooms and 5 bathrooms.